My oldest son and I have been talking a lot about Thanksgiving this year. Probably because he's nine and because he never, ever stops talking. One of the things we've talked about is how much he likes our family traditions. 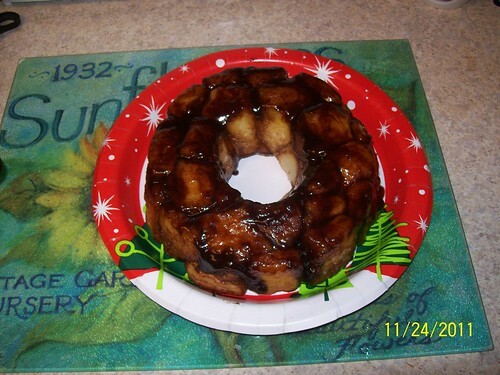 We start out our day with a special breakfast that always includes a fun treat, like this year it was monkey bread. 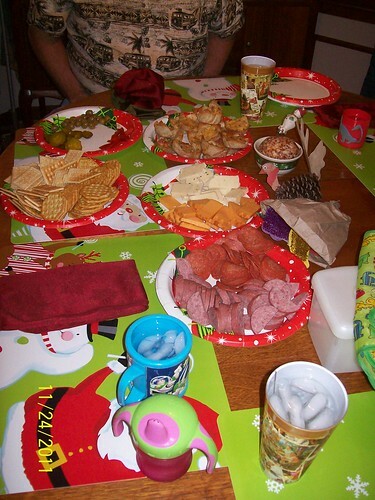 And then while the big meal is cooking, during the day we have a lunch snack that is more like a feast of appetizer foods, cheese, sausages, sausage stars, treats of various sorts that are designed to snack and munch rather than be a formal meal. We eat this about the time most other people eat their "meal". During most of the rest of the day, we just hang out. We watch movies, sometimes we play a game or two, but we spend the time TOGETHER. 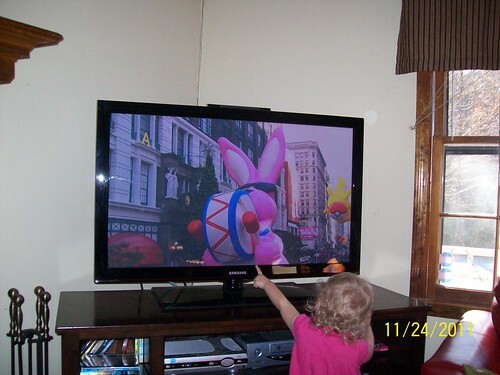 We watch the parades (Macy's and McDonald's) and spend our hours snuggling on the sofas and playing. The boy asked me yesterday, as we were tooling around doing things, why would MOVIES come on out Thanksgiving and Christmas? Those are holidays, he informed me, why would people go to the movies on HOLIDAYS? I told him that people get worn out being stuck with their families so they go out to the movies for something to do. He was pretty puzzled by this but went on about his day. 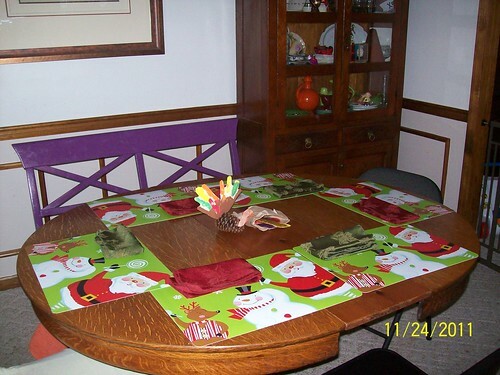 But he came back around later and said "I think we're lucky, because we like to spend time together, so we don't have to go to the movies we can be happy just being with our family. 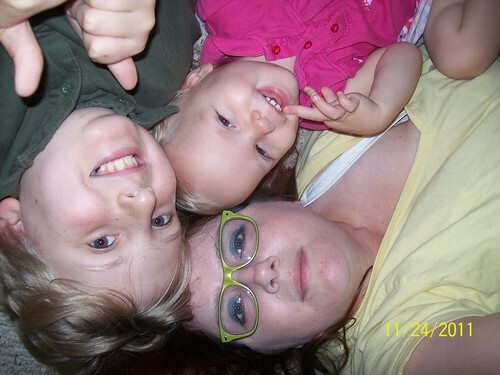 I think that's weird that people don't like their family."